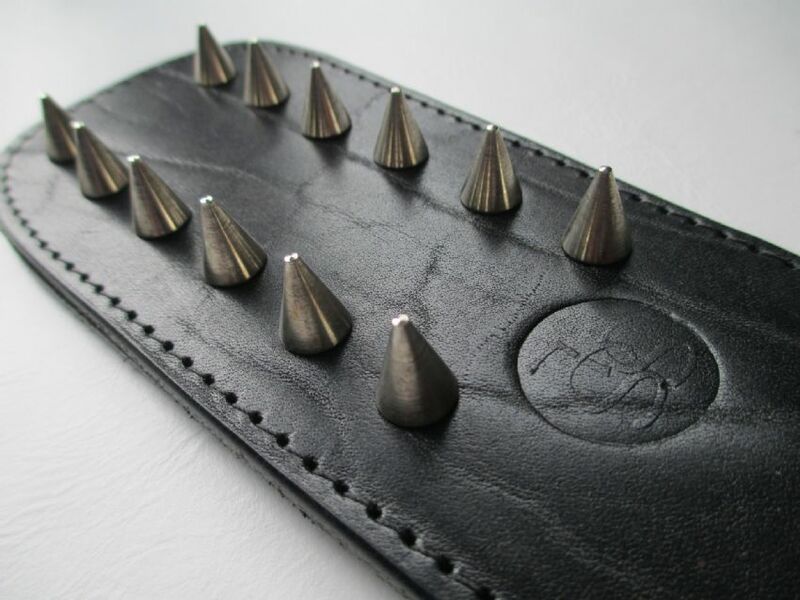 Our Classic Dungeon Design English Bridle Leather Paddle just got a little scary with the addition of Twelve Cone Shaped Spikes! 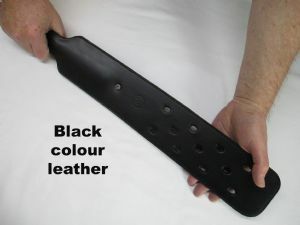 This medium sized Dungeon paddle is of our own unique design, made from high grade A Classic Grained English Bridle leather in Black with a classic smooth black leather plain reverse, with Twelve Cone shaped central spikes on one side, and a full flat smooth surface on the rear making this a very versatile paddle. This is a great textured but scary looking paddle to use in Fear and Anticipation type Play or to pass over a freshly spanked bottom, after all it's all in the intention of the user!